Working on new pattern designs is one of my favourite things to do. So when Jen from One Thimble asked if I’d be interested in creating a felt pattern for her second birthday Christmas edition, I jumped at the chance. After lots of brainstorming, preliminary sketching, prototypes, and playing around, the ‘Festive Felties’ were born. The ‘Festive Felties’ are comprised of three completely hand stitched felt designs; a Reindeer, a Christmas Cupcake and a cute Mouse wearing a santa hat! You can use these felties to create hanging Christmas ornaments, hair accessories, or gift tags for presents. 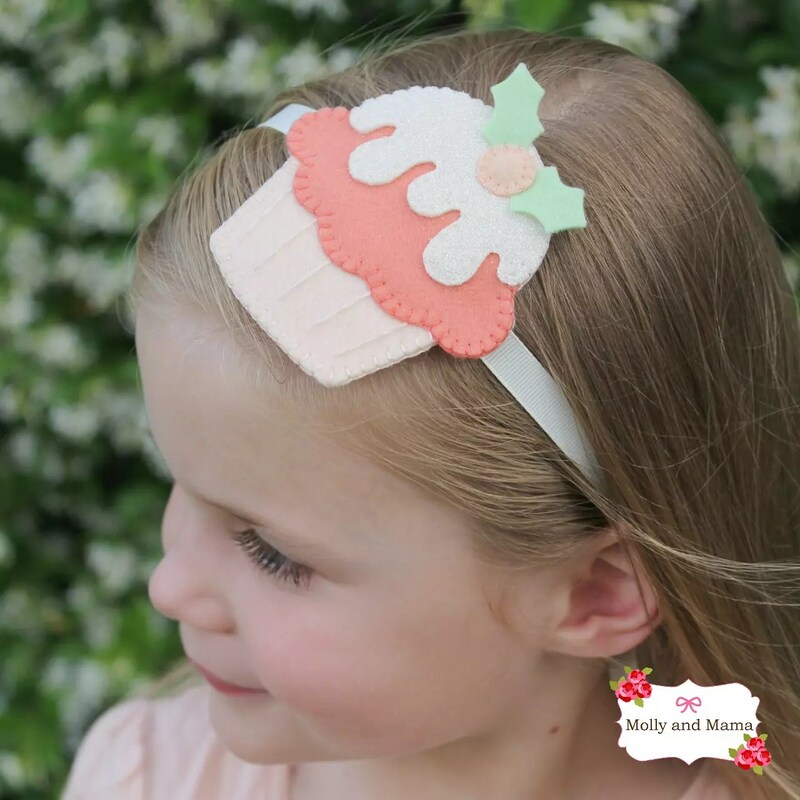 Like all Molly and Mama tutorials, this pattern is also designed with the beginner in mind. I love to use lots of photos and step-by-step instructions. I avoid complicated sewing jargon and just explain things in an easy-to-follow way. So even if you haven’t tried something like this before, you’d be surprised as what you could achieve. And with a little bit of practice, you’ll be sewing up so much more than these little felties. So where can you buy the pattern? HERE! The ‘Festive Felties’ are part of the 9th issue of One Thimble Sewing E-zine. I’m sure you’ve heard me rave about Jen’s publication before. I absolutely love it! Each issue is absolutely jam packed with PDF sewing patterns, tips, tricks and tutorials for improving your sewing, and SO MUCH MORE. And Issue 9 is the best one yet! Here’s a look at the new magazine cover, and all the individual pattern covers too. The entire magazine is available for only $25 Aussie dollars. It’s awesome value for money. But if you’re after the ‘Festive Felties’ pattern on it’s own, you can also pick it up from my store. I really only like to promote products I genuinely love and know you’ll appreciate too. 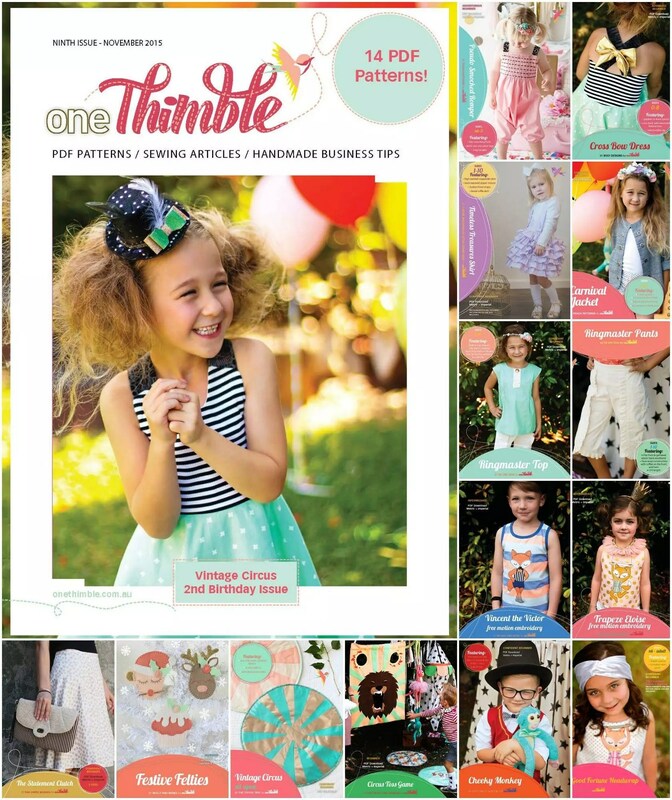 I’m really looking forward to bringing you more news about the Festive Felties and this issue of One Thimble, including a pattern hack, tips for using your felties for different projects, and examples of felties from other talented makers. I can’t wait! 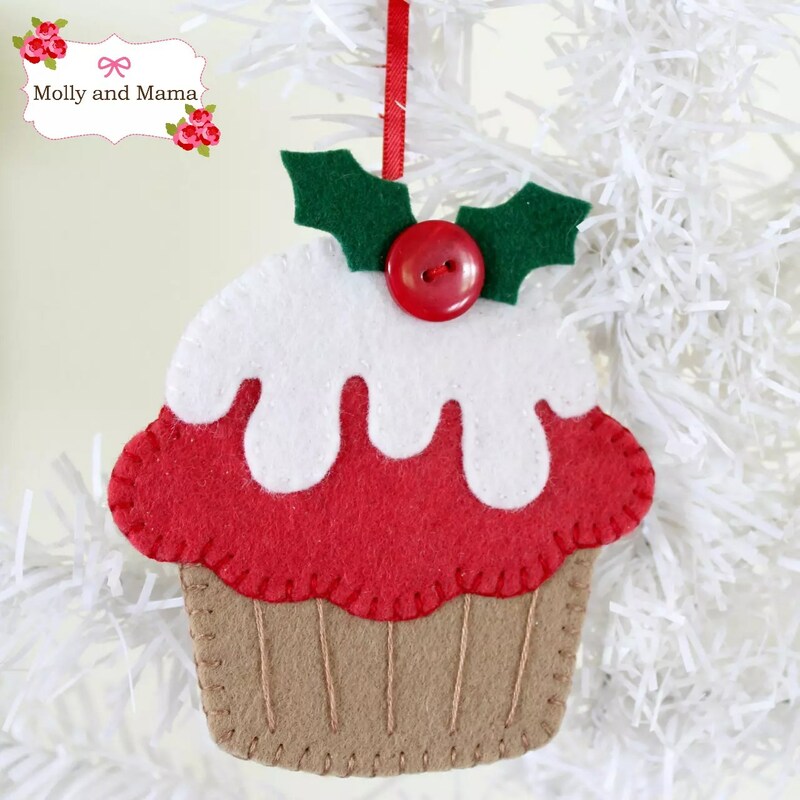 If you get stitching with the ‘Festive Felties’ pattern, be sure to share your creations on the Molly and Mama Facebook Page wall, or tag MollyandMama on Instagram with the hashtag #festivefelties. I love seeing your creations and sharing them on social media. It gives me such a buzz! For more ‘Festive Felties’ inspiration, you can also visit the dedicated Pinterest board! Pop by the tutorials page for more FREE Christmas sewing patterns and ideas.